The La Sportiva Miura Women's is identical to the men's Miura bar a couple of key differences. 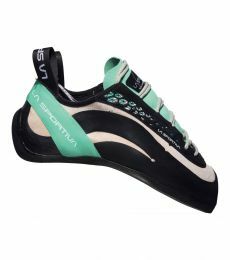 The La Sportiva Miura uses XS Grip 2 rubber over Edge and its sole is 3.5mm thick rather than 4. 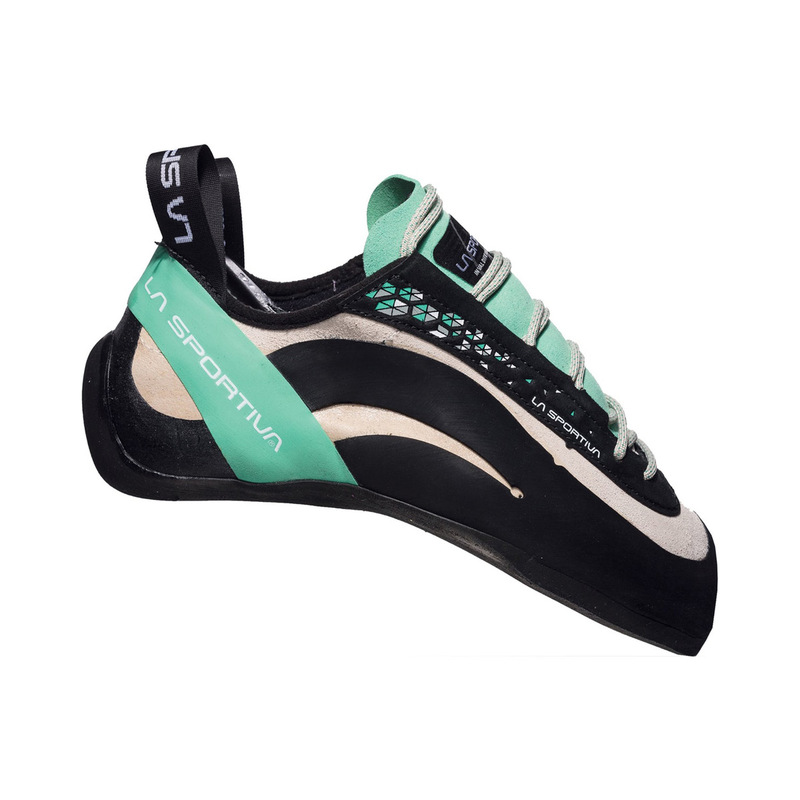 The effect of this is not only a shoe that is better for smearing and sticking to frictionless rock, but a softer shoe that will be more responsive to the lighter weight of women. Aside from that, the shoe is mostly the same. The Miura Women's features the slingshot rand and Powerhinged sole that, when small edges are weighted, prevents the shoe from stretching in the front half of the shoe to keep power and control on tiny holds. An aggressive downturn does mean it can still hook onto overhanging holds and slot into pockets, however! Many people wear these shoes tight for technical sport climbing and high-end bouldering, but others who have worn them looser say that they perform just as well for crack climbing, trad routes, and big wall climbing. They have a leather upper with a synthetic lining (none under the foot however so as to not reduce sensitivity), and so will probably stretch about half a size. If you have wider feet and are looking for a stiffer shoe, the Miura VS Women's may suit you better! I'm satisfied with them. The previous model fits me better on the heel, the new model is a little higher at the back. But they are still very comfortable. With LA SPORTIVA Miura you can climb literally any kind of style (vertical, overhanging, steep or slab) and it's the perfect choice for multi-pitch climbing! Really comfort and high performance.